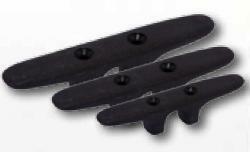 Open base nylon cleat. Good for boats or docks. 2 mounting holes.